Périgueux has several hotels right in the city. Others are in the countryside and nearby towns. 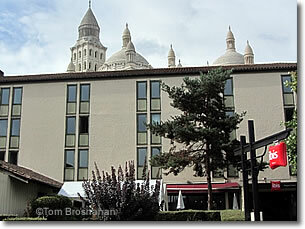 The Hotel Ibis is located right in front of the Cathédrale St-Front in Périgueux.